PT Boma Bisma Indra (Persero) - PT BBI is a well-established state-owned company in Indonesia with core business competencies in the field of industrial equipment and machineries. Based in Surabaya East Java, PT BBI engaged in the field of foundry, manufacturing of industrial equipment and engineering procurement and constuction. PT BBI has attained ISO 9001:2008 Quality Management System Certification from TUV Rheinland Cert Gmbh. PT BBI is a non listed state-owned company and is 100% owned by the Government of Indonesia. PT Boma Bisma Indra (Persero) was established in 1971 as a merger results of 3 state-owned companies, namely PN Boma, PN Bisma and PN Indra. PT BBI now has 3 business units, comprising Engineering Procurement Construction, Industrial Plant Equipment, and Industrial General Services. PT BBI also supported by 1 industrial plant equipment factory at Pasuruan East Java, 1 branch office at Jakarta and 1 affiliated company PT Bromo Steel Indonesia. Achievement and performance of PT Boma Bisma Indra (Persero) in 2014 shows good results achievement. The Company reported total revenue of Rp 198.1 billion in 2014. This reflected an 19.05% increase from (Rp 166.4 billion in 2013. Net profit grew considerably to Rp 36.7 billion, from loss Rp 19.3 billion in the previous year. This figures was quoted by JobsCDC.com from the profile of Indonesian State-Owned Enterprises 2014 issued by the Ministry of State Owned Enterprise. Age around 28-40 years old. 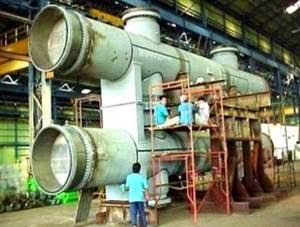 Minimum 5 years of experience in the field of Design for Manufacturing Boiler. Mastering softwares for calculation Design and Drafting Boiler and its parts. Familiar with the Boiler Construction codes. D3/Polytechnic/S1 Civil Engineering, Marine Engineering. Specialization fields of study Steel Structure. Previous experience in the field of Design for Manufacturing Steel Structure. Mastering related softwares for the calculation of Steel Structure Design and Drafting. Familiar with Steel Structure Design code and standard. D3/Polytechnic/S1 Mechanical Engineering, Chemical Engineering. Specialization fields of study Energy Conversion (for Mechanical Engineering). Previous experience in the field of Design for Manufacturing Process Equipment. Mastering related software for the calculation of Mechanical Design and Process Design for Process Equipment. Familiar with Process Equipment Design code and standard. JobsCDC.com now available on android device. Download now on Google Play here. Please be aware of recruitment fraud. The entire stage of this selection process is free of charge. PT Boma Bisma Indra (Persero) - Recruitment D3, S1 Engineer PT BBI February 2017 will never ask for fees or upfront payments for any purposes during the recruitment process such as transportation and accommodation.